Adults have a scary good time from October 1 to October 31 at L’Auberge Del Mar’s Halloween package. Enjoy a special room rate, $25 cocktail credit and Halloween treats from the kitchen. The resort will offer transportation to and from any Halloween dining or event within a five-mile radius. Rates start at $229 midweek and $289 on the weekend. For reservations visit www.laubergedelmar.com or call 800-245-9757. Be prepared to be scared as you enter the Bonavista Lounge on October 31 from 8 to 11 p.m. Zombies come alive on the haunted 34th floor of downtown Los Angeles’ famous hotel. Live entertainment will relax your soul as Zombies strut about the lounge. Sip a Crystal head vodka cocktail and enjoy some frighteningly good appetizers. Hopefully you will be a winner in one of the many giveaways. 404 S. Figueroa St. Los Angeles (213)624-1000. Stay in a waterfront bungalow or suite, free kids breakfast at the resort’s legendary Barefoot Bar & Grill and a $50 “Island Allowance” for kids to spend on kayak rentals, a game of mini-golf, ingredients for s’mores, or whatever they wish across the resort’s 44 acres. Families can also take advantage of the resort’s five tropical pools, 18-hole putting golf course, tennis courts, full-service marina, beach bonfire pits and fleet of beach cruisers, quadracycles and Segways. For more information on Paradise Point’s “San Diego Kids Free Package,” or for reservations, visithttp://www.paradisepoint.com/packages/kids-free-october-in-san-diego or call (800) 344-2626. All participating offers are valid Oct. 1-31, 2013, and age limits and other restrictions vary by venue and activity. LEGOLAND® California Resort offers kids’ and their parents Halloween celebration in San Diego with Brick-or Treat and Brick-or Treat Party Nights, presented by Shutterfly. Every Saturday night in October, the family theme park’s Brick-or-Treat Party Nights boasts a variety of family activities including a new Ghost Cruise Ride experience, an expanded Brick-or-Treat Trail including a special station at SEA LIFE™ Aquarium. The new LEGOLAND Hotel gets into the Halloween spirit with its own Brick-or-Treat entertainment, be sure to ride the disco elevator. Following last year’s valiant effort to break the World Record for the largest gathering of people dressed as vampires, the Park is kicking-off this year’s Brick-or-Treat celebration on October 4 with another attempt at breaking the record. Beginning September 28, guests help construct a giant 10 foot tall LEGO® Lord Vampyre statue one brick at a time. Every weekend in October (Oct. 5 & 6,12 & 13, 19 & 20, 26 and 27), children 12 and under can trick-or-treat on the new ten-station Brick-or-Treat trail gathering goodies, tasty treats and other surprises. The LEGO themed treat stations offer a safe, fun and entertaining trick-or-treating experience for all to enjoy. Also new, the Park’s Coast Cruise boat ride becomes “Ghost Cruise”, featuring a special LEGO Monsters Scavenger Hunt and storytelling experience. Every Saturday night in October from 5 to 9 p.m., the Park transforms into a not-too-spooky Halloween celebration. Brick-or-Treat Party Nights features costume contests, nighttime trick-or-treating on Brick-or-Treat trail, festive music, entertainment, interaction with the “Boo Crew”, the animated light show “Spirits of Halloween” after sundown and fireworks cap off the night at 9 p.m.
Several ghoulishly fun areas of LEGOLAND are open late for Party Nights on October 5, 12, 19 and 26, including Land of Adventure, Castle Hill, Imagination Zone and Park favorites: Coastersaurus, Safari Trek and Fairy Tale Brook. Kids can participate in fun activities like Hubble Bubble’s Ultimate Dance Party hosted by Hubble Bubble and Frank Rock, the Haunted Hideaways and a LEGOLAND pumpkin patch building activity with glow-in-the-dark treats for nighttime fun. As children “boo-gie” down during Party Nights, they will also love interacting with the “Boo Crew” including Silly Scarecrow, tap dancing skeletons, the amazing Brickzini, Dr. Hyde’s percussion cart plus the interactive show “Mail Order Monsters,” entertainment from the “Wichettes” and a splash artist creating Halloween-themed paintings to music. 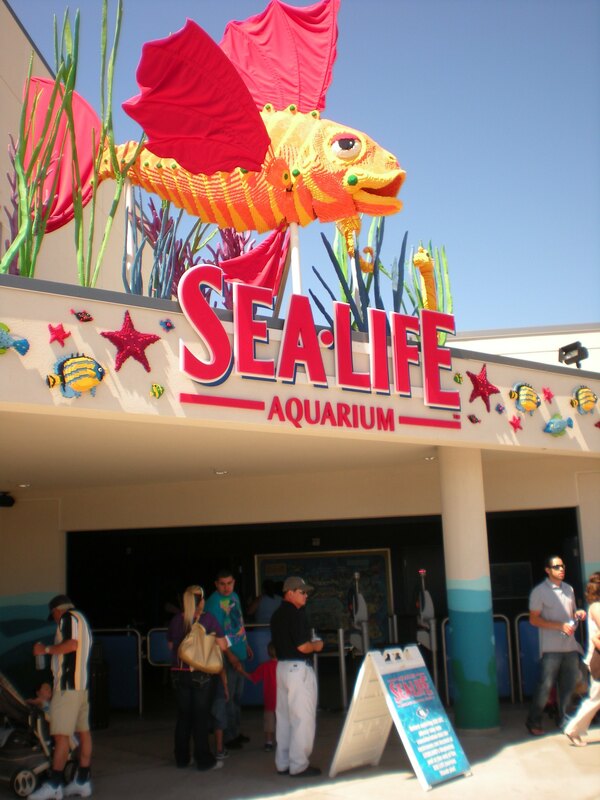 SEA LIFE Aquarium offers guests a bonus Brick-or-Treat station filled with treats and other aquarium surprises. A special themed daily dive show featuring underwater pumpkin carving, a Halloween puppet show and daily creepie crawler appearances every Saturday and Sunday in October also add to the Halloween fun. 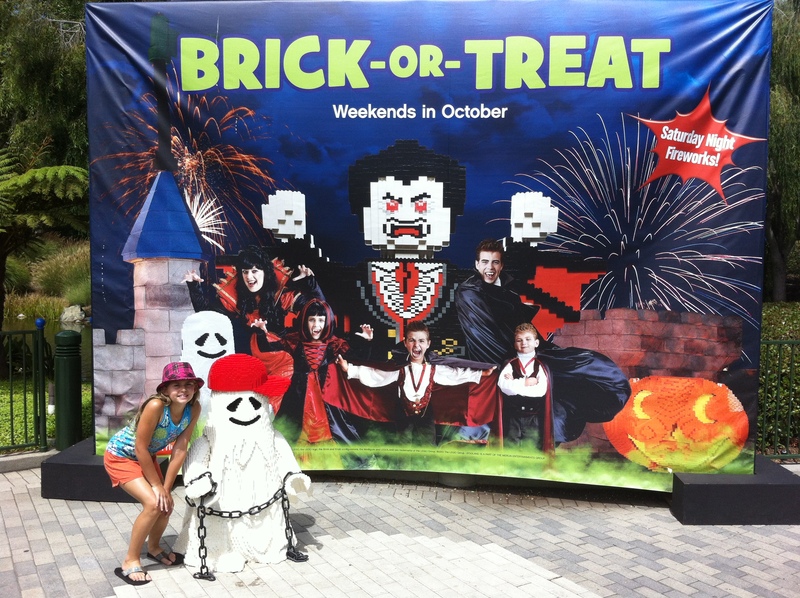 Book a night at the LEGOLAND theme hotel to admire their Halloween decorations. The is nightly entertainment from the Boo Crew’s Dr. Rodney Rathbone and his monster fighting crew. Kids enjoy the Halloween theme building activities. In the Halloween spirit, community sponsor Union Bank is donating 300 tickets to local Boys and Girls Clubs allowing members to visit this year’s Brick-or-Treat festivities during the first weekend of the month-long celebration. 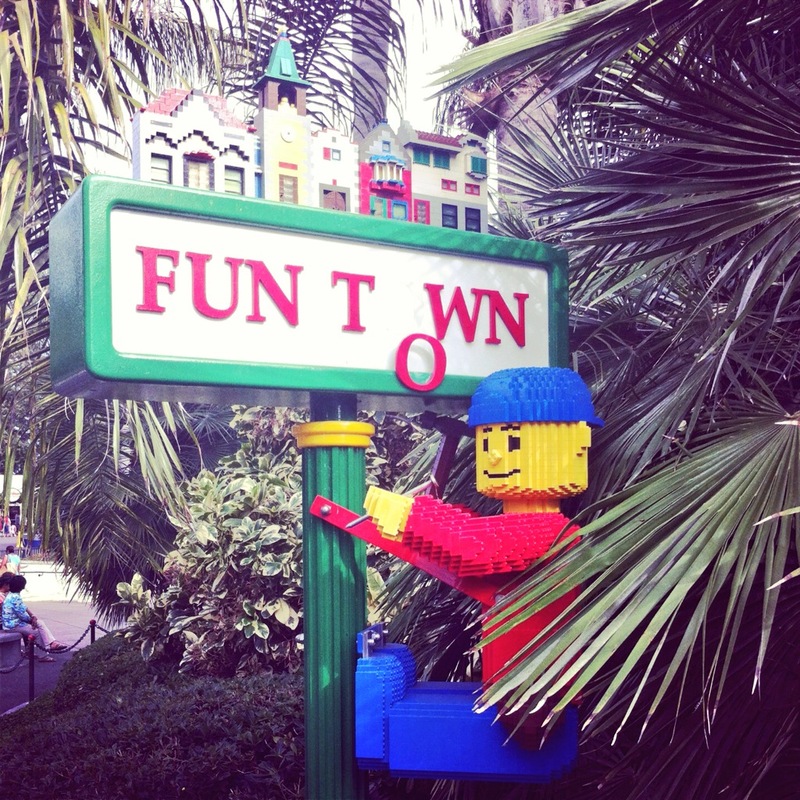 All Brick-or-Treat and Party Nights festivities are included in the price of regular one-day admission to LEGOLAND California. During Brick-or-Treat, LEGOLAND is open from 10 a.m. to 9 p.m. on Saturdays and 10 a.m. to 5 p.m. on Sundays. SEA LIFE is staying open until 8 p.m. on Saturdays for those wanting to explore the Aquarium after dark. Guests planning to attend Brick-or-Treat Party Nights can only purchase special tickets online or at the front gate in advance for just $30 at http://www.LEGOLAND.com or call 760-918-5346. Every year we take a trip to Disneyland in October to get into the festive spirit. 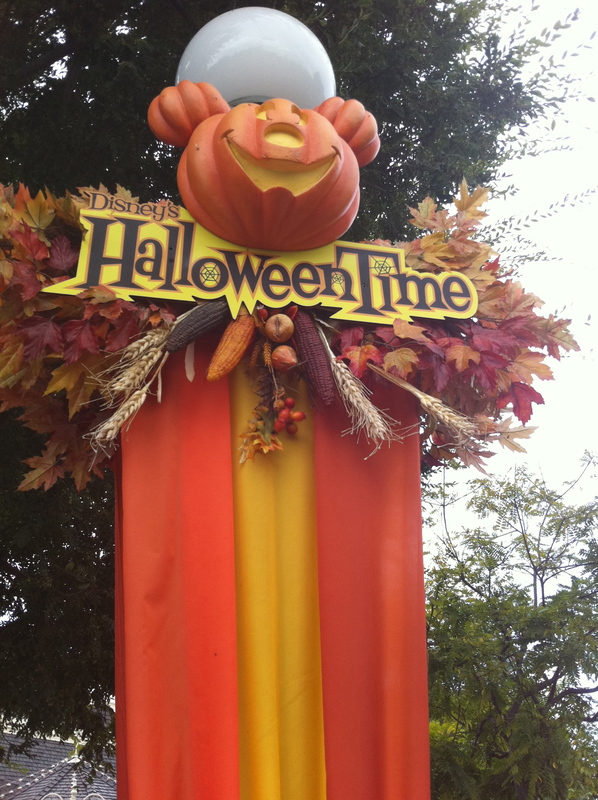 The park is transformed into a lively autumn/Halloween celebration. The fun begins the minute the tram leaves the parking garage to take visitors to the entrance of the park. 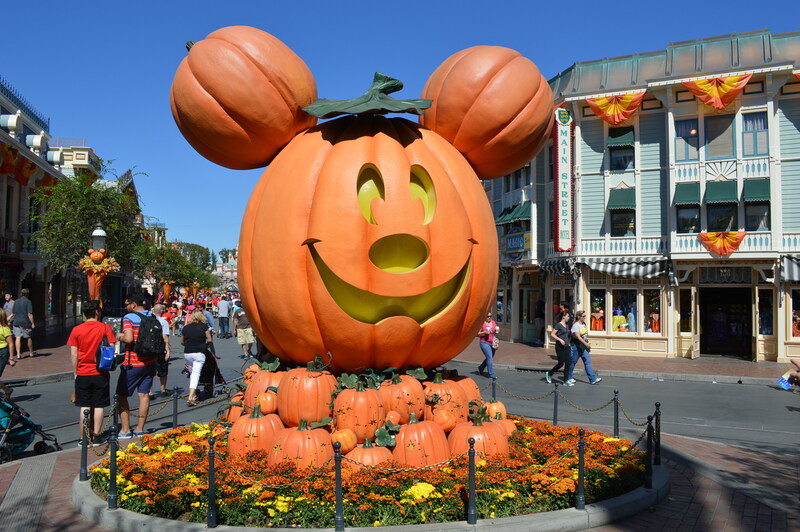 Main Street Disneyland has been transformed with more than 300 pumpkins and a 16-foot-tall Mickey Jack-o’-lantern. The Haunted House with its 999 residents is decorated with Halloween decor, featuring Jack Skellington and buddies from the Tim Burton film “The Nightmare Before Christmas.” Space Mountain is even more scary with a new Ghost Galaxy. That is by far my favorite ride, because it is so dark inside and I never know where the next turn will be. Star Tours offers new destinations and adventures in 3-D. Big Thunder Round-up has barnyard animals and a creative display of carved pumpkins and beautiful autumn displays. Cruella de Vil, Jafar and Captain Hook wander around the park tricking guests into having a fun time at Disneyland. There is also a Dia del los Muertos celebration. Admission to the Disneyland Park up to 3 hours prior to the event’s start time. Complimentary parking for one vehicle. Larger vehicles may require an additional fee. Buy your tickets now and print them at home. Advance purchase prices available until one day prior to applicable event date. Online purchases unavailable on day of event. 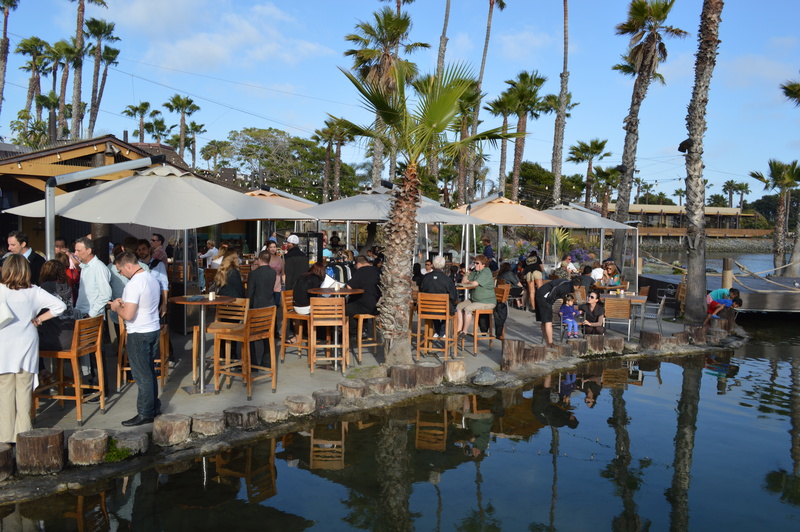 Or call Tickets & Reservations at (714) 781-4400. Guests under age 18 must have parent or guardian permission to call. For 17 terrifying nights starting on Oct. 3 the Grand Dame is transformed into a sinister new circus themed maze. Horrifying freak shows will give you thrills and chills. This year, the Captain celebrates Dark Harbor by raising a circus of horrific spirits, malevolent circus entertainers and other unfortunates. Tickets start at just $20. The Dates include Oct. 3 – 5, 11-13, 17-20, 24-27 and 31. With extra nights on November 1 and 2. Come for a scare from 7 p.m. to midnight. 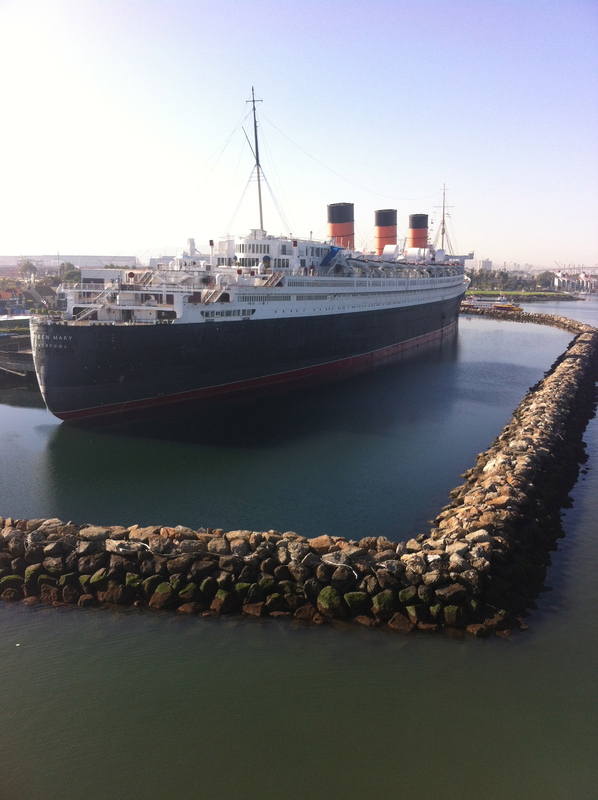 To learn more go visit http://www.queenmary.com/dark-harbor/#sthash.dgFTOLWi.dpuf. Come celebrate autumn at a family-friendly Harvest Festival on Saturday – Sunday, October 19 and 20. All the activities are free with the purchase of an admission. On Saturday, October 19 Acorn bear takes toddlers ages two to four and their parents or guardians on a trek with singing, story time, crafts and exploration in the Rose Pavilion. Both days there will be costume parade at the Center Circle at 11 a.m. Afterwards, Heidi Sweiberg plays in the Sukey Jump Band. Bring your ukulele to the Under the Oaks Theater for a jam session. 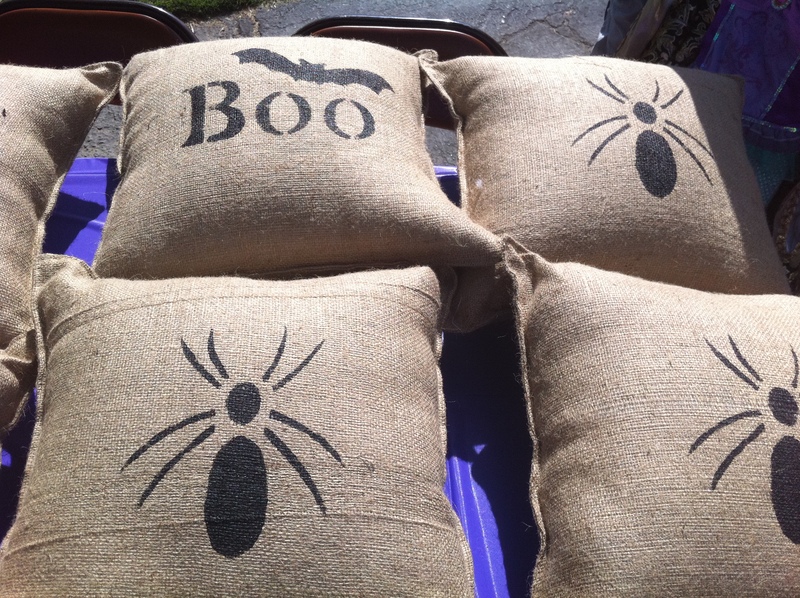 Or go to the Main Lawn for seasonal crafts from 11 a.m. to 2 p.m. The Patina Restaurant Group will be selling hot dogs, corn and other autumn far from their Chuckwagon. Food is available from 11 a.m. to 3 p.m. near the Under the Oaks Theater. For those with a green thumb, visit the Hay Bale Gardens at 11:30 a.m. Hay or straw bale gardening is an innovative way to create an above-ground contained garden. General admission is $9. Seniors and Students with an I.D. are $6. Children 5 to 12 are $4. Under 4 and younger are free. 1418 Descanso Drive, La Canada Flintridge – (818)949-4200.